The State Bank of India (SBI), India’s largest public sector bank, for example, raked up as much as Rs. 1,771 crore during April-November 2017 in minimum account balance (MAB) charges. 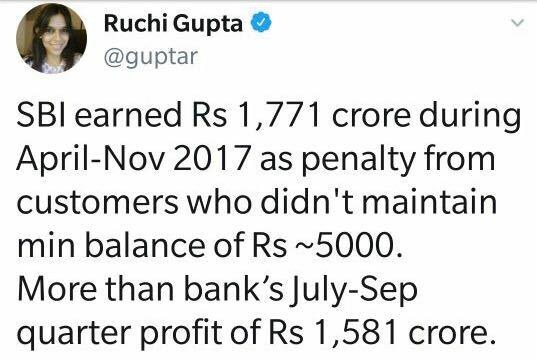 The amount surpasses the bank’s second quarter net profit of Rs 1,581.55 crore.